In November, Kansas City, San Antonio and Seattle joined a class of 64 cities inducted into the program which evaluates applicants in seven different creative fields, including crafts and folk art, design, film, gastronomy, literature, media arts and music. The network, which now includes 180 cities from 72 countries, aims to encourage members to share best practices “to promote creative industries, strengthen participation in cultural life, and integrate culture into sustainable urban development policies,” according to a statement announcing the new members. “Being a member of the U.C.C.N. is the starting point of a long journey to which Unesco invites all cities wherever they may be, provided they share the vision of working together to stimulate culture and creativity as motors for sustainable urban development,” Emmanuelle Robert, Project Manager for the Unesco Creative Cities Network, wrote in an email. Unlike Unesco’s World Heritage Center, which singles out cultural and natural landmarks like the Great Wall of China or the Great Barrier Reef for their universal value to humanity, the Creative City designation is looser and more dispersed. For travelers, a Creative City designation can provide a new lens through which to view a destination. Tucson, recipient of the country’s first City of Gastronomy designation in 2015, used it to train attention on its agricultural history, seed banks and locally owned restaurants. (As a possible measure of that new attention, its hotel revenue per available rooms, a marker of hotel performance, shot up 13.5 percent in 2017 over the year prior). The latest group of Creative Cities ranges far and wide and includes Limoges, France, as a City of Craft and Folk Art based on its famed ceramics. Alba, Italy, synonymous with truffles and Barolo wines, was named a City of Gastronomy. Chiang Mai, Thailand, was named a City of Craft and Folk Art, based on its lacquerware, bamboo weaving and other artisanal work. Bristol, England, home to the Oscar-winning animators Aardman Animations and the BBC’s Natural History Unit, was cited as a City of Film. Istanbul drew on its historic architecture and craft traditions, as well as its emergence as a contemporary design center to be named a City of Design. Some cities offer guidance to orient travelers to their creative sides. For others, the designation is a push in that direction. The following new American designees represent that spectrum. Birthplace of the jazz soloist Charlie Parker Jr., Kansas City, Mo., earned the nation’s first City of Music title, based on its history of jazz, especially bebop and swing, and the influence those styles had on musicians at home and abroad. The application was made by a number of organizations, including a neighborhood association representing Wendell Phillips, the city’s African-American community. It is home to the 18th and Vine district, also known as the jazz district, where visitors can still hear live music in the Blue Room at the American Jazz Museum. The nearby Mutual Musician Foundation International, a union founded in 1917, still holds jam sessions on weekend nights after midnight. Robert Altman made the 1996 jazz-themed film “Kansas City” in the area where the city hopes to see increased investment. “We are hopeful this is a way to get more attention to round out the development going on down there and take some of those properties with old facades and generate some new interest,” said Scott Wagner, the mayor pro tem of Kansas City. San Antonio based its pitch as a City of Gastronomy on its long history of settlement tied to its river and natural springs. Spanish colonists drew on these to create irrigation canals that linked their five regional San Antonio Missions, which are collectively a Unesco World Heritage site. Later, German immigrants contributed flour mills and breweries. It’s not hard to find good Tex-Mex food in San Antonio, but Ms. Johnson highlights the Pearl Brewery, a former brewing complex now revitalized with distinctive restaurants that include Southerleigh Fine Food & Brewery, which makes its own beer amid the historic works. The Native American side of colonial settlement — including native food — is emphasized on programs offered by Yanaguana Mission Heritage Tours. The city is also known for its food festivals, including the four-day Culinaria Festival (May 17 to 20) and more niche affairs, like the one-day La Gran Tamalada, featuring tamale-making each December. 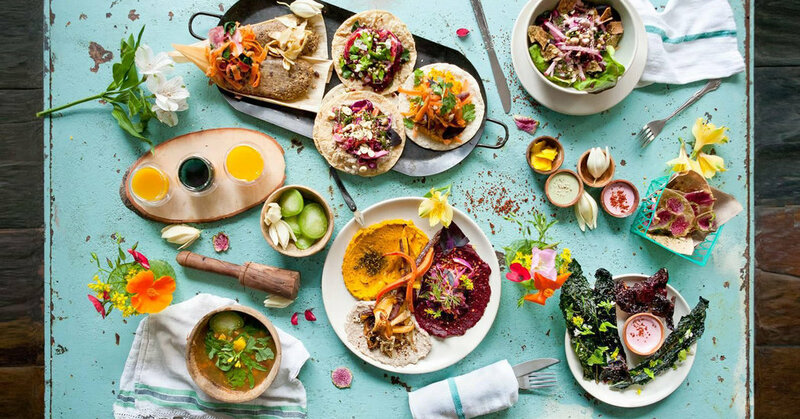 Several culinary initiatives are in the works, including trails devoted to tacos, barbecue and margaritas expected in 2019. Seattle has thriving music and culinary scenes, but applied to Unesco as a City of Literature, highlighting its 19 independent bookstores; widespread library system with a central showpiece attraction in the Seattle Central Library, designed by the architect Rem Koolhaas; and the number of nonprofits sponsoring writing workshops and author readings. “We decided on literature because it tells a story about Seattle that maybe people haven’t heard before,” said Stesha Brandon, the board president of Seattle City of Literature who worked on the Unesco application. While music and dining might be more concrete experiences to hang a trip on, Seattle offers an array of creative programs that show off its literary leanings. The first Wednesday of every month, a silent reading party — where people read silently in the company of others — takes place at the Hotel Sorrento. Among nonprofits, Hugo House regularly offers author readings, classes, book launches and workshops. Seattle Arts & Lectures fills 2,500-seat Benaroya Hall for talks by such authors as Colson Whitehead and Viet Thanh Nguyen. Seattle’s bookish character surfaces in other mediums as well. Book-It Repertory Theater specializes in adapting full-length novels such as “The Maltese Falcon” for the stage. Musicians with the Bushwick Book Club Seattle write and perform songs inspired by a selected book, and encourage audiences to read that book before they attend the show. At any time, visitors can pull up the Seattle Poetic Grid on their smartphones and click on dots on the map that bring up poems contributed by locals related to that area.